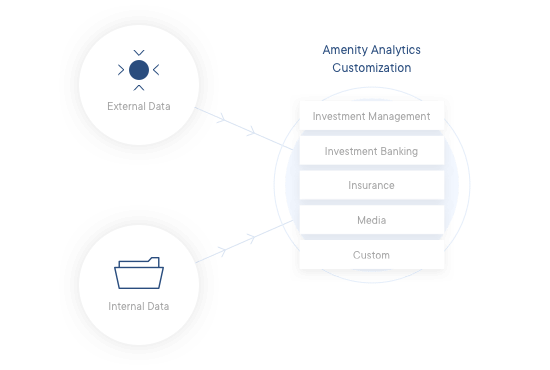 Amenity Analytics offers its AI/NLP technology as a cloud-based text analytics API service, empowering companies in any discipline to draw actionable insights from any source of unstructured text data. Within a matter of days, Amenity’s API can be customized to provide the most immediate, accurate, important insights that would otherwise require sifting manually through thousands of pages of text. Organizations across all industries rely on Amenity’s API to solve complex problems in any area where massive quantities of text are a barrier to insight. Amenity hooks into external data such as SEC filings, earnings call transcripts, and analyst reports. Additionally, Amenity can import internal customer data such as Customer Service Emails, Net Promoter Scores, and Customer Satisfaction surveys. 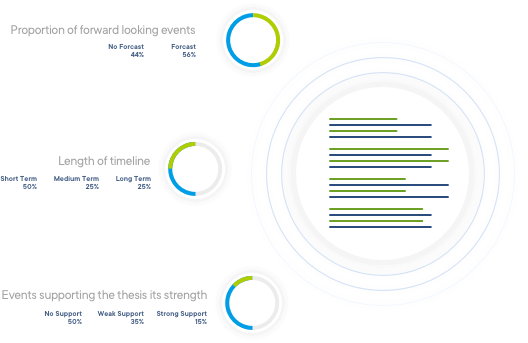 Ready to convert text into insights? Our dashboards allow customers to consume insights more effectively. 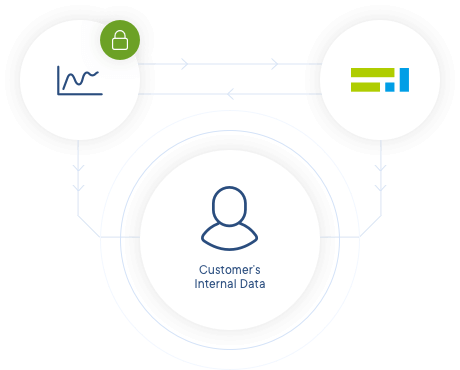 Additionally, Amenity has created custom APIs to allow customers to import their insights into a variety of tools such as Tableau, Excel and SFDC. The output of Amenity's analysis can be treated as structured data that can be backtested for validation. Learn how Amenity can help you transform the way you consume text data. Our NLP API delivers information in formats that complement your existing workflows. To find out more, fill out the form or give us a call. Select a publicly available data source, internal data, or both. Customize the NLP model to meet your specific needs. Integrate Amenity’s API seamlessly with existing workflows.